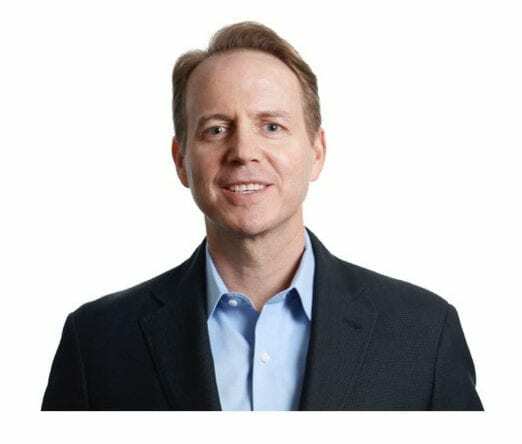 In part one of my interview with Citrix CEO David Henshall, we discussed how he became CEO and his successful, three-pronged approach to transforming the company. In this second half, David outlines how he leads strategic alignment and communications, why Citrix is a great place to work, and his advice for other CEOs. If I am an individual contributor at Citrix, how is my experience different today vs. 18 months ago when you started as CEO? We measure across many dimensions and have never been more aligned, focused, and collaborative. I think employees have a better understanding of their team and core goals. Citrix has been recognized as one of best places to work. One reason for this is that we have the type of infrastructure that allows for career development and different types of opportunities. I also think having a more aligned strategy is a factor. Employees want to be connected and engaged to a strategy they believe in and view as important. Our long-term goal is to have Citrix be the preferred way to work for 1 billion people worldwide. Our internal surveys show that over 75 percent of employees understand our strategy and how it connects to their jobs. This is up from less than 50 percent 18 months ago. Our employee Net Promoter Score increased from 20 at the end of 2017 to 45 in our last measurement. Teams are more engaged in the business. Success creates a lot of opportunities. In regard to pushing the strategy to the team: How would I as an employee learn about it and how applies to my particular role? What I’ve recognized over the years is that it is a continuous engagement process. We draw out our vision on a multi-year basis, including where the company needs to go and why. Then we communicate it to our board and all our stakeholders: What it means for individual employees; the financial goals to our investors; where our solutions are going/what problems we are solving for partners and customers. The multi-year term provides context for all short-term activities and how they are connected to the business. We have monthly conversations with the entire company where we repeat the goals and discuss how we are progressing. Repetition matters. On an annual basis, we refresh the strategy on a page with overall priorities. This cascades down to the functional organizations so they are aware of where we’re going and how the roles line up. With your background you have a good feel for the financials of the company. What other data do you collect to find out what’s happening at lower levels? Via a business intelligence layer we create reporting and instrumentation to understand different operational elements and the strategy changes that need to evolve. P&L is almost a given. Those are results after the fact. On an operational basis, I rely on a scorecard for core strategy and look at metrics such as net new customers; retention rate of cloud services; active weekly use of cloud services; etc. This lets me know if we are delivering value and engaging with our customers. As we transition to a cloud services company vs. a product company – moving from selling something once to a SaaS sale – we are proving our value every day. Mentally the shift takes time. Looking back, is there anything you would have done differently or studied for the CEO role? I try to never look back. My overall philosophy is your eyes look forward for a reason. I may do a short-term retrospective and learn from it at times. In general, I think people should be more open about their career paths, especially within a dynamic industry like tech. If you are more methodical, you run the risk of being disappointed or missing out on opportunities that you may not have thought of. My guidance is to approach new opportunities with curiosity and passion. Be open and try to understand new areas of the business. Don’t assume the direction you have to take. If I have one regret in my own career, it’s that I never took an international assignment. I haven’t really needed it but wish I’d done it for personal reasons. This is a difficult labor market trying to hire and retain talented people. Why would someone want to work at Citrix? We just celebrated our 30th anniversary. We have reinvented ourselves many times, like all great tech companies do. We have a great vision for the future of work, employees who are highly engaged, and an exciting roadmap. We have a unique culture where we embrace curiosity and different opinions. The best idea rules the day. It’s a great place to build and drive careers. In the last year, we have doubled our revenue rate and are financially strong, with a runway to drive higher-level relevance in the industry. It’s an exciting time to be at Citrix. What trends or changes are you seeing that you think other CEOs should be aware of? I am biased about tech, but it is critical to the future of organizations. Work styles have changed forever, and it’s not just about demographic shifts or millennials. Today half of all jobs are in non-traditional offices. People are working from anywhere. Companies are tapping talents pools from around the world. In a tight job market, companies that don’t hire this way are destined to fail. Employees are usually the single most valuable and expensive resource. We must cherish it. Looking at the landscape: We are entering the 4th industrial revolution or natural evolution of tech: The pace of change is accelerating faster than any time over the last 30 years. Even with our advances in computing and connectivity, businesses that put human capital in front of problems and opportunities will be rewarded. Companies have to be a new level of fluid and dynamic. Do you have any advice for future CEOs? CEOs need to be very direct, humble, and transparent. This will drive authenticity. It’s more about getting people to align against a strategic vision than operations or infrastructure. It’s a very visible role. Everyone’s a critic and has an opinion. You can’t take things personally. Focus on doing the right things with clear, honest, transparent communications and making people part of a team.